The Pro 6 swivel armchair by Flötotto is a developed school chair. Konstantin Grcic designed an office solution, which convinces with ergonomics and flexibility in private rooms as well. The Pro 6 swivel armchair is especially suitable to be used in the office while working. The Pro series by Konstantin Grcic was originally designed to be used in schools. The designer and Flötotto made a whole collection out of it, to be used in object rooms and private places, since they were convinced by the concept. The Pro 6 swivel armchair is one of those developments. The swivelling and rotatable base is the reason why the Pro 6 chair is wonderfully suitable to be used in offices or home offices. The ergonomic backrest and the round seat of it furthermore encourage flexibility. The backrest adapts to the back, supporting it in our everyday life. The spinal column is reinforced and the back musculature becomes stronger since the backrest moves when the user changes the sitting position. The armrests add comfort to the chair. 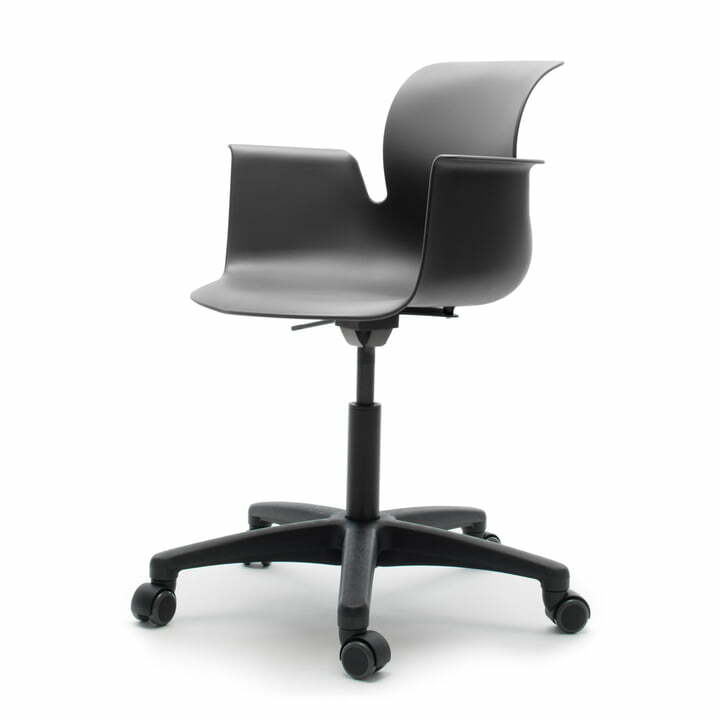 Pro enables different sitting positions from all sides – 360 degree. 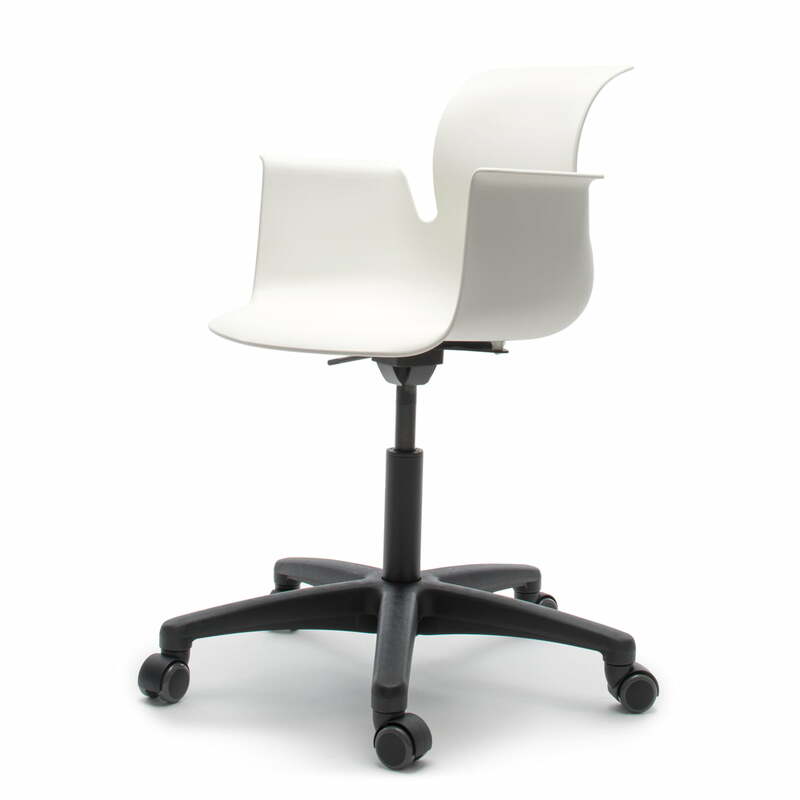 All the swivel chairs of the Flötotto Pro series are also available with a cushion and without armrests. The cushion cannot be installed after the chair was bought without it, since it has to be included in the production process because it is fixed with a special drilling method. So if you’d like to have a cushioned chair, you will have to order the cushion from the beginning. The height adjustment spring is available in black or chrome-plated. Different castors are also available with chrome or black plastic caps in soft (for hard grounds) and hard (for soft grounds) editions. Many different editions are advantageous, since there is surely a suitable Pro 6 for every place. We will gladly advise you for individual configurations.